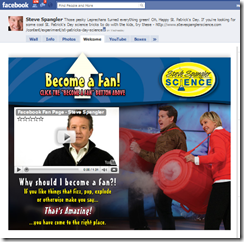 Let’s assume you have your Facebook Fan Page up and running now. (If not, see FANtastic Fan Pages for ideas and help). Some of the basics include adding a custom graphic, installing apps – particularly Static FBML, adding custom content including a landing tab, and ensuring you’re adding relevant, quality content on a regular basis. I’ll be covering all of these subjects and more on this blog and also on SocialMediaExaminer.com. 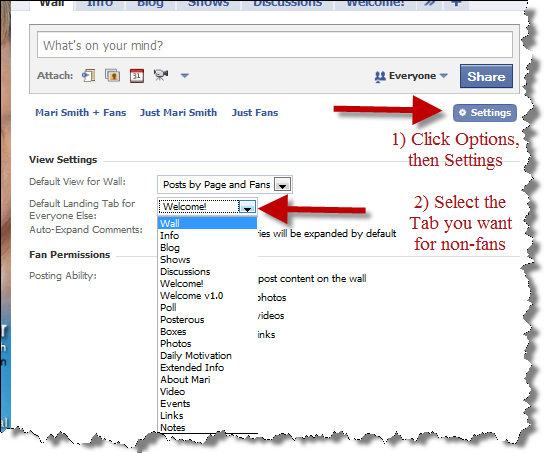 If you have visitors to your Fan page and they are not yet fans, I call them non-fans, you ideally want those visitors to be directed to your custom Welcome Tab rather than your Wall. The idea behind this is you want to have a clear and inviting page that provides these visitors with an immediate sense of who you are, what you do, why they should become a fan, AND you want to provide a call to action with a nice visual to your Become a Fan button. If the visitor is already a Fan they’ll automatically be directed to your Wall as the landing page so they can read your updates, see what your community has to say and share their thoughts. 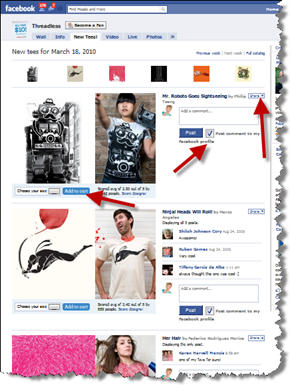 FBML stands for Facebook Markup Language. It’s Facebook’s own version of HTML. 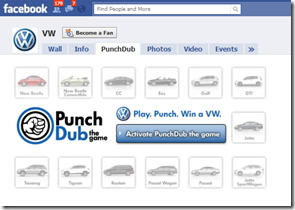 You want to install this application because it allows you to configure your Fan Page with custom tabs. If you are good at traditional HTML you will pick up FBML very quickly. If you don’t have any experience with HTML you are not alone and I highly suggest you work with a web developer who can quickly and easily add all of the custom apps you want without the headache and frustration of learning this new language at a time when you are trying to grow your business and fan base. But, if you love that type of challenge, more power to you! In the master Search box at the top, type in FBML. Click on the square Facebook FBML icon to go to that page. 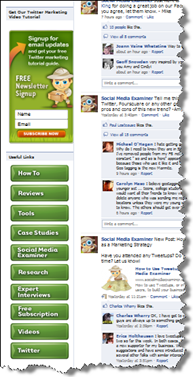 Under the icon on the left side of that new page, Click on Add to My Page (as shown in the screenshot below). You will then see a pop up window with thumbnails of any fan pages you’re an Admin for. 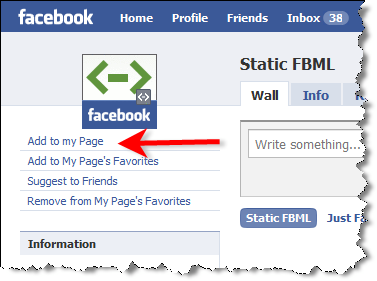 Click on the button that says Add Static FBML next to the fan page you want. After you install the Static FBML app, go back to your Fan page and click Edit Page under your image. You will now see new applications to choose from – click on the edit link for the FBML app. (By the way, if you just created your fan page and/or it is not published yet, you may have difficulty finding where it went! Here’s a direct link to the Pages Manager – you might want to bookmark it). There are essentially two simple, blank fields to this app and that’s it. It’s so simple, it seems complex! The first small field is where you enter the title of the tab you want. Then the larger field is where you paste in the raw HTML code. If you are fairly savvy about adding similar HTML text to a WordPress site then this will be a snap, but again, don’t be afraid to enlist the help of a web developer. For do-it-yourself folks, try Windows Livewriter (for PCs only) – it’s a free WYSIWYG desktop blog writing software (I use it for all my blog posts) where you can create the content you want, then view the raw HTML source code and copy/paste. Or, if you’re more advanced, software like Dreamweaver will be a good choice. Once you have created and added the content you want, you can add this new tab to the list of tabs on your fan page by clicking on the double arrows that appear on your tab bar on the far right. To “lock” the positioning of your first several tabs in place, click on the tab itself and you can actually pick it up and drag and reorder. Once you’re finished reordering, this new order will remain “set.” (The only tabs you can’t drag and drop are Wall and Info). 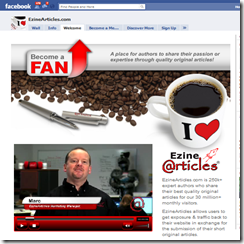 On your Wall tab, look just below the Share button of your Publisher and you’ll see a tiny link for Options. Click on that, then click Settings. 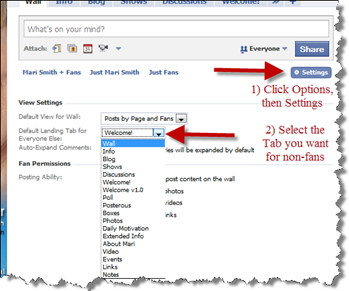 Use the drop-down menu next to Default Landing Tab for Everyone Else, and select Welcome so that all non-fans are directed to your Welcome page first. 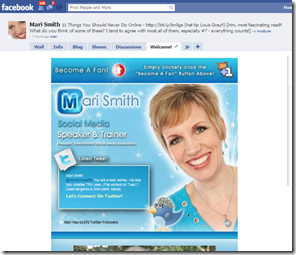 An Opt-In box on FB is much the same as one on your website. It is a way to offer free products or services to your visitors in exchange for their email address for future marketing purposes. You may choose to use the same give-away product as your website or offer a different one. If you want to track where your contact list originates or you believe the demographics of your fans may be different than your website visitors, you might want to offer different giveaways for each opt-in box. 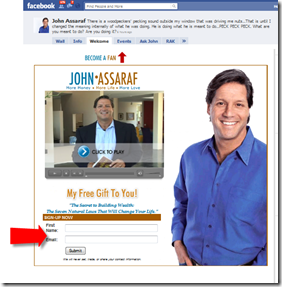 If you go visit my friend, John Assaraf’s, Facebook fan page (screenshot above) – you’ll find he actually has three different opt-in boxes on three separate tabs: Welcome, Ask John (genius! ), and RAK. Now that your custom landing tab is in place, I’ll be writing about some of the fun and strategic ways to increase your community of fans on upcoming posts. Meantime, I’d love to hear what unique things you’ve done so far to welcome your potential fans. 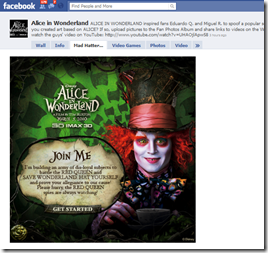 Have you seen some really neat welcome pages that you want to share with the rest of us? Add your comment below!